Website: Visit the PBC on Facebook! Understating the difference between General Liability insurance and Property insurance. Difference between a Business Owners policy and General Liability. 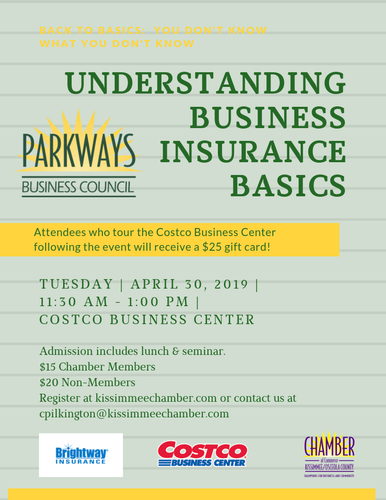 *Stay after for a tour of the Costco Business Center and recieve a $25 gift card!